A new study of polling data from last year’s election shows that it was not the financial crisis last fall that boosted Obama over McCain, it was the selection of Sarah Palin as his running mate that destroyed any chance the GOP had of winning the election. The data reveals that the financial crisis that famously prompted McCain to “suspend” his campaign did very little to change voters’ minds, but once he named Palin and she began to be known to the voting public, it was all downhill from there. I find this oddly comforting. As I said back during the American presidential campaign last year, while I would have been pleased if Barack Obama beat John McCain, I was far more afraid of Sarah Palin being in a position of power. To put it as mildly as an American mustard, her proud anti-intellectual stance creeped me out no end, and the fact some people took her seriously scared the living daylights out of me. 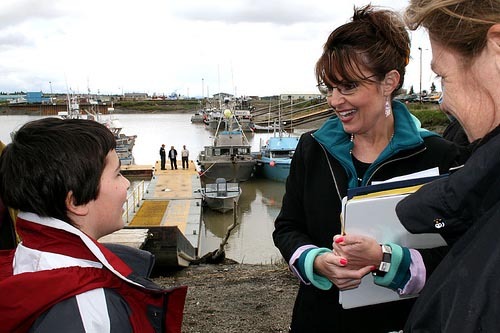 I blogged about how picking Sarah Palin had backfired amongst voters of my age in the United States back in October 2008, it's heartening to see this turned out to be broadly true. If you're really interested, all my ramblings about the 2008 US elections were tagged as such.